Online hotel reservations are also helpful for making last minute travel arrangements. Hotels may drop the price of a room if some rooms are still available. There are several websites that specialize in searches for deals on rooms. Hotel Reservation Systems - Wikipedia. Online hotel reservations - Wikipedia. BOOKING.COM - since 1996. The website has more than 28,889,846 listings in 137,971 destinations in 229 countries and territories worldwide. Each day more than 1,550,000 room nights are reserved on the website. The site is available in 43 languages. Their slogan is "Homes, houses and everything in between", although in commercials it is "Booking.com: Booking.yeah". CLASSIC VACATIONS - since 1978. "Defining Luxury Travel. The #1 rated vacation company by luxury travel agents." ELEGANT RESORTS - since 1988. "Beyond Luxury". Specialists in the field of luxury holiday travel: creating luxury, tailor-made holidays to hotels, villas and resorts in numerous, diverse locations around the world. EXPEDIA - since 1996. Internet-based travel reservation website based in the US with localized sites for 40+ countries: airline tickets, hotels, car rental, airfares, vacations and rewards programs. GOOGLE FLIGHT SEARCH - since 2011. "Find cheap flights in seconds, explore destinations on a map, and sign up for fare alerts on Google Flights." Online flight booking service which facilitates the purchase of airline tickets through third party suppliers. HOTELS.COM - since 1991. "Over 350,000 Hotels Worldwide. Book Now & Save up to 50%." Leading provider of hotel accommodations worldwide. Deals and discounts for hotel reservations from luxury hotels to budget accomodations. HOTWIRE.COM - since 2000. Discount airfare, hotel reservations, car rentals, vacation packes and cruises. JETSETTER - since 2009. Jet access to the world's greatest vacations at insider prices. Provides members with insider access, expert knowledge, and exclusive deals on the world's greatest vacations. LASTMINUTE.COM.AU - since 2000. Last minute accomodation, flights and holidays. Save up to 70%. MOMONDO - since 2006. Travel search engine for low cost and cheap airline tickets. Travel fare aggregator and travel fare metasearch engine. MY VOUCHER CODES - since 2006. "UK's #1 Voucher & Deals Website. Never Pay Full Price Again! Select a retailer for Hotels and Accommodation from the list below to check for the latest discount and save money whenever you shop online." NUSTAY - since 2014. "Search between 1.5 million hotels and save up to 79%." We've compared our hotel prices for the bestselling hotels in the top 20 biggest tourist destinations worldwide, proving that Nustay is the cheapest hotel booking website for 82% of all the hotels. On average we are saving you 20% compared to all other websites. Start searching today and open a world of incredible hotel prices. ORBITZ - since 2006. Leading global online travel company that uses innovative technology to enable leisure and business travelers to research, plan and book a broad range of travel products: airline tickets, cheap hotels, car rentals, vacations and cruises. Osborne & DenÉe - since 2010. 'Unparalleled connections deliver exceptional possibilities across the globe'. Creating bespoke, tailor-made luxury holidays for discerning clients in all four corners of the world. We have a team of dedicated travel specialists who have up to date information and first-hand experience of their specialist areas. We provide exceptional attention to detail, to ensure that our clients have unique and unforgettable experiences. Overseas Attractions - since 2013. "We Get To The Point." Cheap Tour Deals & Activities. Find tour deals, attraction tickets, and travel packages for a special price. We'll show you the most popular, strange, and unique tourist attractions around the world. Roomer - since 2017. 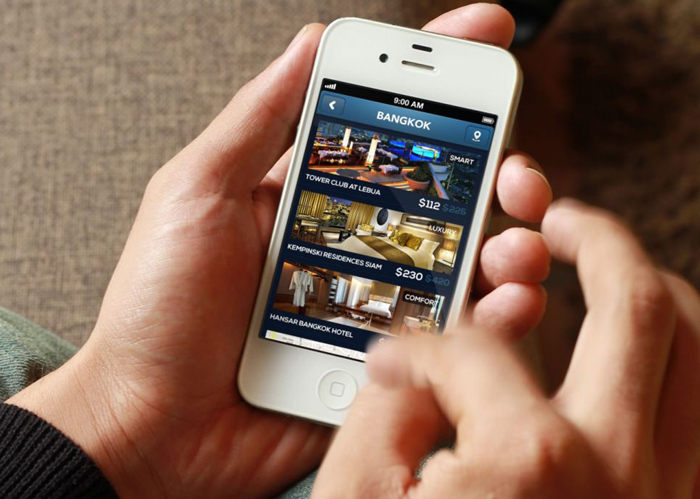 "The marketplace for discounted hotel reservations." Book your hotel room from people who can't use theirs. SKOOSH HOTELS - since 2005. Hotel booking and reviews. "The search for your perfect hotel starts here." "Skoosh.com offers significant savings on all sorts of hotel bookings across the world, and regularly undercuts kayak.co.uk, laterooms.com and hotels.com by as much as 50%" (Times Online). TABLET HOTELS - since 2000. "Unique Hotels for Global Nomads." Members receive exclusive access to our weekly Private Sale featuring dramatically reduced hotel rates at Tablet hotels all over the world. Over 1,800 hand-picked hotels all over the world. The lowest rates available anywhere - guaranteed. No booking fees. Rewards program. THOMAS COOK - since 1841. Book holidays, hotels, city breaks and cruise deals. Travel Zoo - since 1998. "Travel deals on hotels, flights, vacation packages, cruises and local & entertainment deals too. Join millions of travelers who already use Travelzoo!" TRIVAGO - since 2005. "714,409 Hotels From 202 Websites." The world's #1 hotel search. Compare 100's of sites to find the best hotel at the best rate. Read reviews, compare prices and find hotel deals. VENERE.COM - since 1994. "Hundreds of Thousands of Hotels & More, 1.3+ million reviews, 20 years of experience: these are Venere's numbers. Book now with us!" 575,000 unbiased hotel reviews from luxury to cheap hotels. VOYAGE PRIVÉ - since 2006. The world's leading by invitation-only travel site. Membership is free. "Each week, we carefully hand select and negotiate the most exclusive, high-end travel deals for our members - at prices of up to 75% off." WORLDHOTELS - since 1970. "Book Upscale Luxury 4, 5 star Hotels and Resorts at best prices online." A trusted mark of honor for nearly half a century, WorldHotels was founded by hoteliers dedicated to the art of hospitality. Today, the WorldHotels Collection presents you with 350 upscale, independent hotels in 250 destinations worldwide, each reflective of the locale and with a refined sense of character.